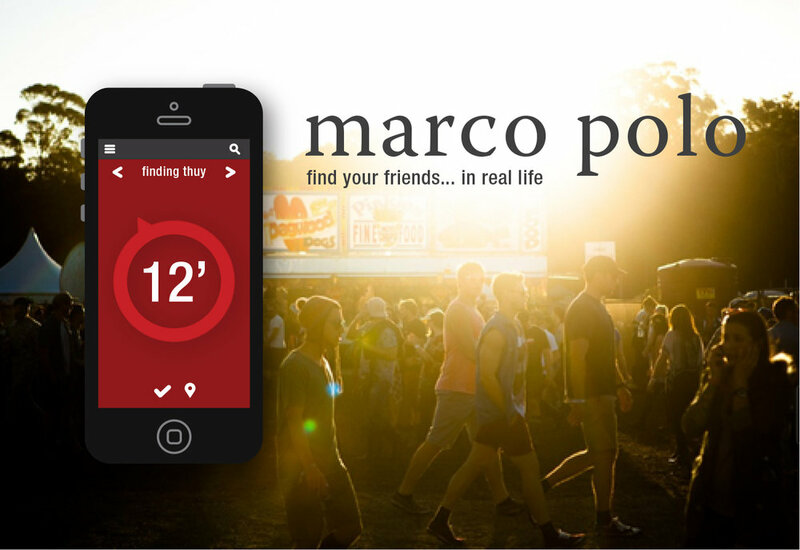 Marco Polo helps you hit a moving target — no need to rely on obscure landmarks or points of reference to find each other. 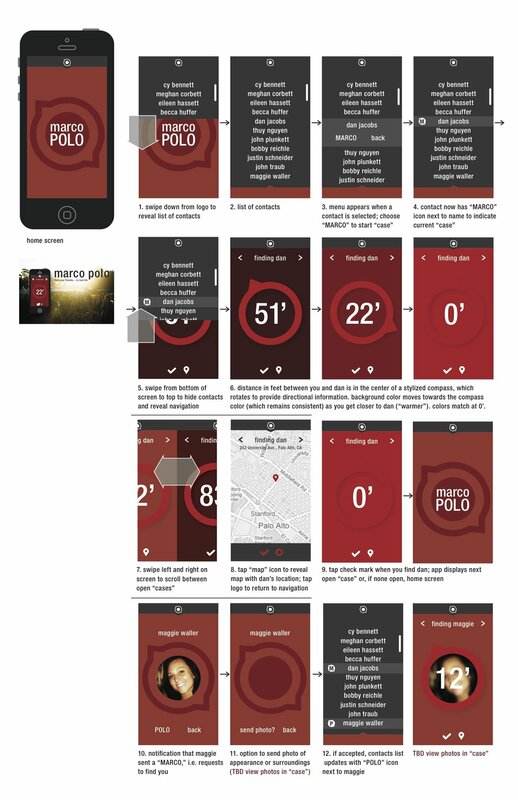 This concept app allows users to locate friends with a real-time compass, detailing their direction and distance from the user. The flow of the app is designed to be as simple as kids playing Marco Polo in a pool — request a friend's location, get their approval, and follow the compass. Integrating another element from a classic children's game (Hot & Cold), the background color shifts closer to the compass color as you approach your target. Experimentation with colors and aesthetic style, playing around with the idea of "getting warmer" or "getting colder" in hide-and-seek. What is the best way to quickly communicate to the user that they are getting closer/farther?